Check out our top picks of the best bongs of 2019. ✅ Has amazing taste and flavor in every rip. ✅ Is built with quality thick glass. ✅ Doesn’t leave you coughing your lungs out, literally. ✅ Is guaranteed to impress your friends! 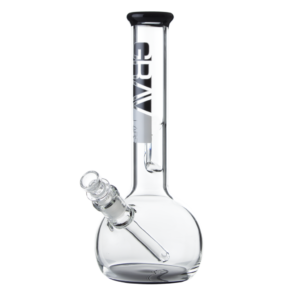 After thorough research we have come to the conclusion that the following bongs meet our guidelines, and we are recommending these bongs if you are looking to purchase your paraphernalia online. We only recommend the best bong brands that produce thick glass, best air flow, and best flavor bongs. We also take the length, portability as well as other things into account before we recommend a bong. Our recommendations are not for everyone and should be used as guidance towards your next purchase of a bong. Read the comments below and ask us a question! Use live chat above and I’ll personally help find the best bong for you! A mean beaker base machine. Sometimes, you can find a beaker that feeds you the hits exactly as you need them. This domed tree perc beaker base from UPC could be just that for you. The tree perc is known for its awesome filtration and many bubbles, meaning your hits will be smooth and strong without breaking your lungs. A nifty ice pinch gives you the option of cooling it way down, too. At the base, an 18.8mm ground female joint connects the packaged accented flower bowl to the main chamber. Give this thing a shot if you’re proud of your lung capacity and in need of a new cannon. Available in clear, green, and blue. A tall beaker with the works. Take a above average sized beaker. Add in a tree perc. Add in a fire-cut diffused downstem. Throw in a splash guard. Now we’re talking. 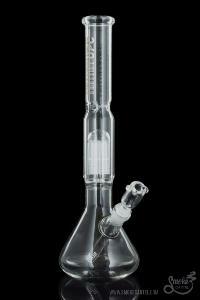 It’s not wonder why this beaker bong from UPC is a crowd favorite; it’s got everything you need. Smoke in style with this crowd-pleasure. This one of a kind beauty can brighten up your room and next sesh. Recycler pipes are phenomenal at filtering your smoke. This Bell Recycler in Olive Oil over Ganja Butter glass is a collectible to demand your gaze. Blown by Bear Mountain Studios from Aurora, CO, this pipe will permanently change your smoking session. The soft color is hand pulled by master glass blowers @th3ydidit and @selardor_. Blown by Bear Mountain Studios from Aurora, CO. This piece has a reinforced ridden shower head per and a 14mm male joint. Created in a bent neck style, your new daily driver is made for relaxing at an all time high. Recycler dab rigs are wonderful at filtering your smoke. 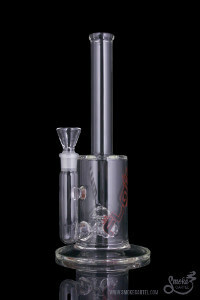 This piece has two symmetrical chambers that recycle your water after each hit. Add a domed showerhead to honeycomb perc, plus beautifully colored accents and marbles, and this water pipe is a no brainer! You Got the Sauce!! 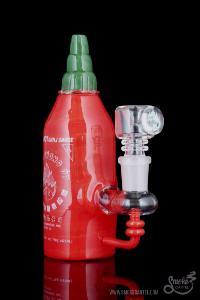 The flavorful sauce you know and love has now been commemorated as a red hot rig. Worked in the USA by Empire Glassworks. Custom mixed colors give the surface an authentic feel and look. Features a 14.5mm female ground joint on a reinforced arm. A matching flower bowl is included. 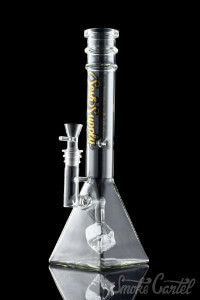 The triple slit barrel perc provides percolation for smooth filtered pull. Spice up your sesh with this homage, perfect for the Sriracha lover in your life — Just don’t mix up the bottles. Liquid Glass is one of our newer companies and they blow right on American soil. Introducing a sci-glass piece with a new J-Hook percolation systems that provides an innovative style to the glass instrument. It comes with a 14.5mm female joint and liquid glass colored decals.Combined with a built in splash guard and ice catcher to give it an arctic cool pull everyone can enjoy. A classically stunning bubbler. In Greek mythology, Eurydice was a beautiful wood nymph who died tragically after being bitten by a snake. Her husband ventured down to the underworld to save her, but unfortunately she was banished for all of eternity after he turned to look back at her before she crossed into the other world. Sesh Supply’s Eurydice casts an elegant light on a tragic figure. The bubbler boasts a 14.5mm female joint at the top, perfect for smoking flowers. At the base, a cube perc offers a subtle but distinct amount of percolation and smooth flavors. The bent neck makes this bubbler a little bit more casual, and helps with preventing backsplash. Check out the Eurydice if you’re looking for a delicate but classic style in your water pipe collection. Available in a variety of colors. Cool pipe and even cooler lungs! Need slim water pipe that won’t skimp cooling power? The Screw Driver tube is made with a practical design for a relaxing experience. Fill it up with cold water and the smoke will be cooled by the rushing bubbles. The colored mouthpiece, perc, and base give the tube a visual boost. Whether it’s for the smooth draw or the reliable design, this is not one to pass on. Limited availablity, make sure to get your’s today! Incredible diffusion with wild style. Charybdis was once the great sea monster that tormented the Greek sailors on the Strait of Messina, but has now been rationalized as a giant whirlpool. A fitting name for Sesh Supply’s latest water pipe, the Charybdis is a whirlpool of a piece, and as an internal recycler it is constantly working to keep your smoke wonderfully diffused and clean as ever. With the Charybdis, you can pack your dry herbs into the packaged flower bowl and send them on a wild ride through the propellor perc, and then through the water of the Klein recycler. If you’re a fan of terrifyingly powerful water pipes, you’ll definitely want to add the Charybdis to your monster collection. Want to see more pipes named after Greek mythological creatures? This oil rig is called the “Twincycler” because of its dual recycler chambers that recycle water and smoke at the same time, providing intense percolation as well as filtration. This piece features an oil dish, as well as an inline percolator. 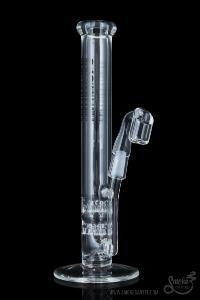 The inline perc provides filtration and allows for a cleaner hit. Take cool hits with this straight pipe Made in the USA. 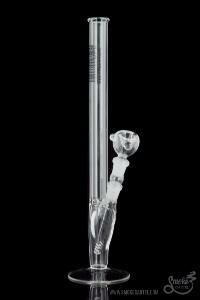 This 5mm Beaker Water Pipe with Showerhead Perc is a straightforward glass piece. Made by the experts at UPC, this pipe comes to you from scenic Toluca Lake, CA. This beaker delivers excellent function. The domed showerhead perc is paired with a diffused downstem for super smooth hits, every sesh! At a bangin’ price, this water pipe is a no brainer of a purchase. Need a replacement or extra downstem and flower bowl for this piece? Check out the Sleek and Simple 18mm to 14mm Female Downstem in 4 inches and the Round Glass Bowl in 14.5mm. Don’t forget to double check to make sure the sizing is correct on your order, otherwise it may not properly fit your pipe! For more information on sizing, check out our Knowledge Base guides on Downstem Sizing and Joint Sizes. 9 Tall Pink Cadillac tear drop bubbler with diffused three hole downstem, male joint, and a quartz banger. Handmade in-house in Los Angeles these bubblers have the solid platinum UPC decal and are marked California Handmade on the base. This beaker has a traditional look and is available in several different sizes. This Heavy Wall Beaker is a straightforward beaker. Blown by UPC, this water pipe was made in Toluca Lake, California. 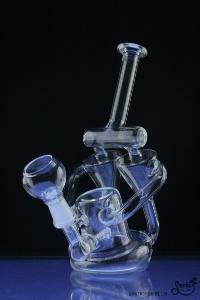 This piece features a six slit diffused downstem and an ice pinch. The thicker models are thick and heavy, a testament to their durability. 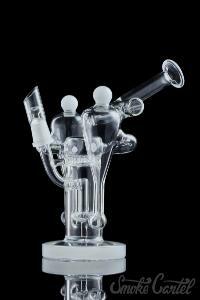 This beaker is available at a bangin’ price and is a no brainer of a purchase! 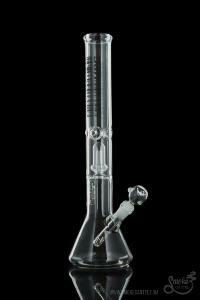 This awesome water pipe from UPC features a 45 degree angled 18mm > 14.5mm downstem with a female ground joint. This piece also has an ice pinch to help cool down your smoke and a straight base, which when filled with water, provides ideal stability due to the weight at the bottom of the piece. For the most suitable downstem and flower bowl options for the Simply Guy, check out the Sleek and Simple 18mm to 14mm Downstem in 3.5 inches and the Round Glass Bowl in 14.5mm. Don’t forget to double check to make sure the sizing is correct on your order, otherwise it may not properly fit your pipe! For more information on sizing, check out our Knowledge Base guides on Downstem Sizing and Joint Sizes. Featuring a lightly flared mouthpiece, each The China piece in stamped, true to form, with a vibrant red China Glass stamp. A diffused fixed downstem ensures that this high hitter offers refreshing pulls. 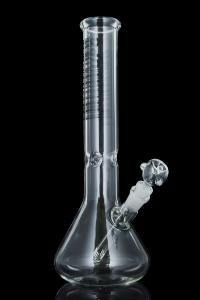 This pipe is grand and we promise you, at this price this product is one of the best bongs. 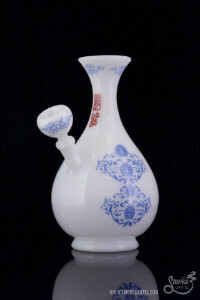 This “Jin” Dynasty Vase bong is a clean glass pipe designed in China. 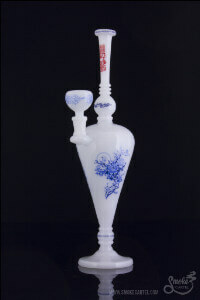 Produced by The China Glass, in the Hebei province, this pipe comes with a matching 14.5mm male flower bowl. Percolation in this smoke stack comes from a simple and sleek diffused downstem. China Glass only offers best bongs made from ceramic. Very unique compared to most glass bongs. 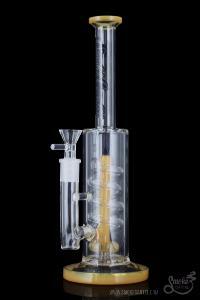 This towering beauty is a triple honeycomb to turbine perc straight tube and it means business. This bong is a fantastic choice for those looking for an easy pull without sacrificing percolation. With three honeycomb percs, filtration is at an all time high and there is virtually no drag. Just wait ‘til you get your hands on this piece. Thes “Zhou” Dynasty Vase bongs was inspired by Chinese history. 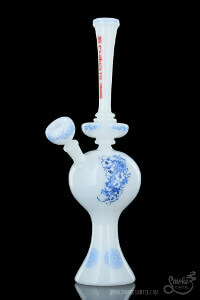 Designed by The China Glass, in the Hebei region, this pipe is true to form, and a phenomenal artistic expression. This bong is sleek, yet imposing in its beauty. Includes a matching 14.5mm male flower bowl. This china glass is one of the best bongs I own. This China Glass is a simple glass water vase pipe. handblown by artisans in south China and styled after the traditional Chinese pottery. With a sleek vase and stand, accenting an elegant mouthpiece, this is a functional glass art vase that you’ll most certainly want in your best bongs collection. In Greek mythology, Hercules was the son of Zeus and a mortal. His passion and prowess made him either a great friend or terrifying enemy. “Hercules” from Sesh Supply is a monstrosity of a beaker base carries with it the same level of competency, albeit much more genial to have around. The unique cube perc in the main chamber will keep a consistent bubbling happening, making sure your dry herbs are filtered and flavorful. The 18.5mm female joint is ground to fit a matching 18.5mm male flower bowl. If you’re looking for the best bongs to have by your side, consider “Hercules” as your next daily driver. This Cross Mushroom Perc Fat Can is a functional glass bong from JM Flow Sci Glass, in Riverside California. This Fat Can uses a Cross-Perc and Mushroom Perc to deliver better filtration and easy smoking. Quality engineering on display, the pipe stands at 13 inches with a wide base. Great piece for a daily driver – this pipe would stand out in your collection. 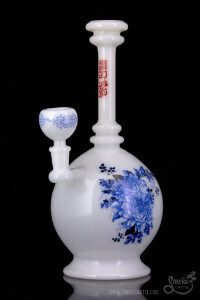 This “Nan” Dynasty Vase bong is a ornate glass piece. Designed by China Glass in Hebei Province of China, this pipe inlcudes a matching 14.5mm male flower bowl. Your new daily driver features a diffused downstem for reliable and straightforward percolation just like all best bongs should. This “Huangdi-Qin” Dynasty Vase bong is a clean glass piece. 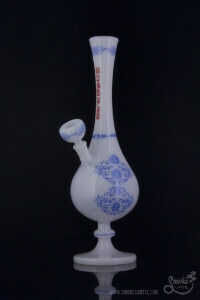 Brought to you by The China Glass, and produced in the Hebei providence, this bong comes with a matching 14.5mm male flower bowl. We promise you, at this price this pipe is well worth it’s buck and would look great in your best bongs collection. This “Xia” Dynasty Vase Bong was designed by The China Glass, in Hebei Province, China. This piece is made from white glass and features a simple diffused downstem. Some may call this the best bong because it is streamlined and splendid. With it’s white glass body and blue designs, it will stand apart in your collection. The “Waffle Baker” Recycler is a glass marvel. A clean piece with functional features and a distinctive look. Two inline stereo percs and lattice body break up the water an cools every hit. Not to big, not to small this pipe is a just right for laying back and getting comfortable. This one would look extremley well in your best bongs collection. The bong, as almost everyone on the planet knows, is the crowning piece for a stoner. For better cooling of the smoke, some of the best bongs are equipped with an ice catcher. Bongs have been around for, well, absolutely ages. Handmade pipes and bongs are generally the first thing many people smoke out of in their budding stoner-careers. Water inside the bong acts as a filter and also cools the smoke. Many use bongs because there are so many different accessories you can attach to enhance the flavors. 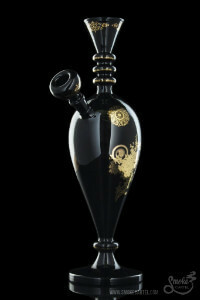 Cool bongs are also popular because they come in a variety of colors and unique designs. People choose bongs as their preferred smoking method because of the cool and unique hit you get when you smoke from them. They also enjoy the quality borosilicate glass that can withstand small drops and tips leaving you to wonder why is glass used for smoking cannabis. When you are using a glass bong for smoking you will be satisfied with the more chambers, longer draw and cooler smoother hit. Let’s talk about the interesting effects of a percolator. Before we go into the details, here are the basics: A water pipe percolator can be considered as a small additional chamber that is placed within the shaft of the pipe/bong. The primary function of this percolator is to provide a cooling effect on the smoke through smoke-water interaction. This process provides heat exchange through dissolution and hence minimizes health hazards as well as enhances the experience. Percolators are available in multiple forms such as pedestal, dome and tree. The purpose of all percolators is to provide another layer of filtering for the smoke – through water. Bongs use the diffuse effect, which works by utilizing the difference between the pressure at the bottom and the top outlets. The difference in pressure at the outlet is due to the suction created with the user’s lungs. The fluid at the inlet, which is a mixture of smoke vapor and water, begins to drift towards the bottom of the water, where the pressure of the water causes the mixture to break into small air bubbles. As you can notice, the tobacco is lightly packed to allow free air flow. The bong has been filled with water and the flame is lit as it is being gently drawn by our user through steady whiffs. Once the tobacco starts burning, the smoke begins to fill the beaker at the bottom, and the diffusion process begins at the percolator. Watch closely, as the percolator instantly begins the cooling and filtering process. The smoke from the bottom chamber begins to gather in the upper shaft of the pipe, now visibly cleaner and cooler. Pause the video at 0:14 for a moment to see the difference a percolator can make! The smoke at the upper shaft is as white as snow when compared to the bottom chamber. When the main chamber is broken up into one or more smaller chambers with additional filters, you’ve got yourself a percolator bong. A bong or water pipe percolator (read our cannabis culture smoking terms) is a small sub-chamber within the shaft of a water pipe which allows for interaction between the smoke being produced and water within the water bowl. The original purpose for the creation of the percolator was to act as an additional chamber to filter the smoke through the water, so as to produce a more refined smoke for inhalation and absorption into the lungs. This filtered thick smoke is best for learning how to blow o rings because there is very little to no discomfort when the smoke is in your lungs. As you hit your best bong, the smoke gets pushed through tiny holes within the secondary water chamber—this is the process of percolating. Depending on the type of percolator, it may not be able to diffuse the smoke. Glass bowls are usually the most popular paraphernalia because they are so simple, small, and very effective. One of the essentials to look for in a good glass bowl is the thickness of the glass. Cheap bowls crack a lot easier and have a higher potential of breaking because of the nature of the piece and glass used. The bowls also have to fit well in your hand and the carb should be located in a well accessible area. Pipes provide a quick and easy way to enjoy your flowers, and glass models are especially enjoyable. Like most best bongs and best dab rigs, glass pipes are also decoratively designed with intent to impress everyone. 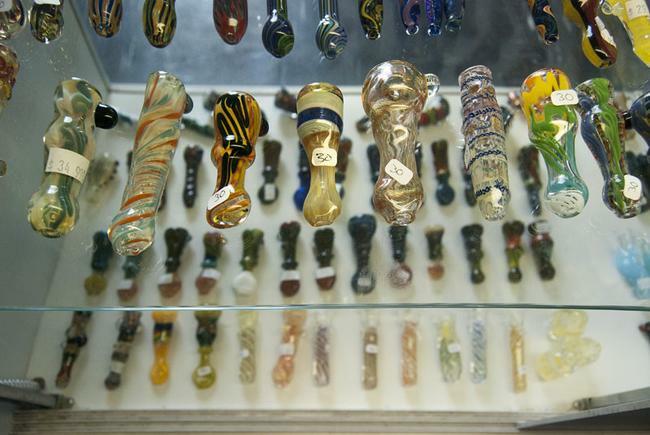 Glass pipes are probably the most popular type of pipe that people use. 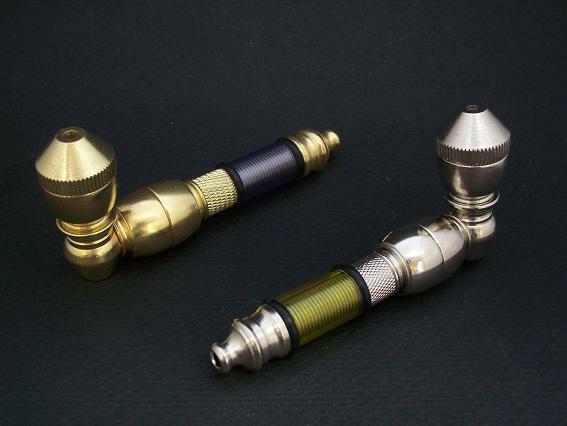 There is a large variety of smoking pipes available on the market. Some pipes even use water, such as the bubbler pipe. The bubbler pipe is a water pipe that is not quite as intense as your best bongs but still provides H2O that will cool down the smoke before it hits your lungs. Bubbler bongs are great because the water acts as a filter. Some can find glass pipes easier to handle and clean, as well as they see a glass pipe as a good investment as it rarely breaks. A pipe is usually made of metal or wood and can be a short pipe, called a chillum, or a long pipe like the Gandalf Pipe. Some pipes are even made from glass, they are called steamrollers. A smoking pipe could be a good (small) investment if durability is something you are looking for. Dry herb vaporizers have been becoming ever seemingly popular. They are very affordable and allow you to travel in utter discrete. The sheer convenience of a herb vaporizer allows you to toke when you are in need of medication. Many people have come to realize that dry herb vaporizers allow them to save on buds costs as well as benefit from a completely different mental state that typical ingestion methods produce. They enjoy the idea of portability and how the vapor is not damaging to their lungs. Check out our reviews of the best dry herb vaporizers in 2019! It would be awesome to have one of my own glass bongs, especially a roor. A bowl is what we have experience with. I'm thinking a bong for my cousins bday would be awesome. How often do these bongs last? The acrylic bong is known for dying quick. Never get an acrylic or plastic bong, stick to glass bongs, always. Bowls are usually what we smoke, but a friend has a Grav Labs, pretty simple and gets the job done. Loving it so far. My glass bong has been hit around 200 times, still looks brand new, I mean what else can you expect from Roor? I've had courage to hit only bowls or joint's. Don't know if I felt anything, how do bongs work? This is a great article to read and learn about how bongs work. This site was interesting because I knew very little about bongs. I didn't know there were numerous variations of bongs, and that, besides the aesthetics, there's a reason for those differences. There are a lot of reasons for the different components of bongs. However most are there to bring out the best flavors and give the smoothest hits. Been smoking glass bongs all my life. Bongs, pipes and joints until I found the awesome world of glass bongs.. I got a downpipe and bowl for my cheesy cheap af glass bong. The old down pipe lasted quite some time. I had one and then after using it a couple of times he downpipe shattered. I don't know, maybe your 'cheesy cheap' bong wasn't actually cheap?? Yes! That is the goal of buying ANY bong. You always want people asking to take a rip from your bong. That's the point! So get a dope af one and rock on! Great reviews, the pipes sure look awesome. Sadly, I’m more of the joint kind of guy. Do these come in different colors? Maybe I will get this as a present. Bong's are available in many different colors. Just checkout our recent bong reviews. a glass bong was never an option for me. Just simply never had the $, but with this job I can afford one now. What is your recommendation? I would recommend any bong you see on this page. They are all worth the money. Usually stick to a bowl or wraps. Recently a friend had gotten a bong, and to my surprise I enjoy them. These are some really nice looking bongs, and the beads are a really nice touch. I love these bongs. I think they are they best available online. When purchasing a bong you really have to enjoy the art of it as well. Are these handblown glass pipes from Germany? Or the USA? No, all of these bongs are hand blown here in USA. However some shops may carry brands that are from Germany. Hmm, these are all nice. I usually smoke from the pipe, and maybe have taken around 2k rips from bongs and the rest from joints or pipes. Bongs are fantastic for social or group situations. They can leave everyone quite impressed with awesome memories to look back at. You just need to be prepared for the munchies because when you hit a bong you tend to become super hungry! Since I’ve been back from europe I’ve been trying to live with what we had there but I can’t, so I’ve recently ordered a proper glass bong setup from Smoke Cartel which is waiting for me at the post office now. You made a great choice. Smoke Cartel carries many different bongs and dab rigs. I believe they are the leading online headshop. They carry pretty much everything you can think of and always have the essentials in stock. The unique and cool bongs tend to sell out the fastest so grab yours when you find it. My first bong hits were from bongs I had made myself. I used a plastic coke bottle and some aluminum foil. I remember being super stoned. I traded a quarter of flowers for my first glass bong, which I called Rufus. It was a dark red vase drilled and fitted with very nice blue glass bowl. This one lasted for a while. Then there was Friendly Lucifer and the Night Tower of Terror and of course so many other bongs, including a few from this website. The cannabis industry is definitely growing more and more with all the new age products. Recycler bongs are just another example of it. Yes, I agree. Recycler bongs are one of the best ways of enjoying the taste and flavors of your buds. The reason it is called a recycler bong is because as you inhale the smoke will go through a cycle-like percolator that filters the smoke multiple of times before exiting the bong. 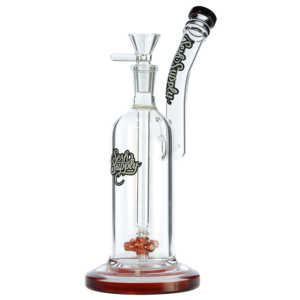 This multiple filtration percolator is called a recycler percolator and is usually built as part of the bong itself. It essentially 'recycles' the smoke, providing smoke filtration unlike any other percolator. However, these bongs are much harder to make so they tend to cost a bit more. There should be a few recycler bong reviews above. A recycler percolator is the best for smoke filtration and will always leave you with smooth hits. i smoked out of a bong only once and it was just a regular handblown glass bong, nothing too special. Handblown bongs are the best, try hitting a bong with a recycler percolator, your mind will be blown.. Guaranteed. I would say that I have hit a bong maybe 200 times in my life. I’ve only taken about 10 hits from non brand glass bongs. I had the chance to smoke with a headshop owner who brought along his best bong. All I can remember is taking 3 hits from it and was then basted off to space. People smoke out of all kinds of things like apples or high tech dry herb vaporizers (or even cannabis oil vaporizers) but if you love waterpipes and you’re ready to invest some money into a high-quality glass bong that will be a solid, reliable smoking tool for years to come, then you should take a look at Smoke Cartel. Smoke Cartel is a great place to go for your glass pieces. They carry everything from bowls, glass bongs, dab rigs and many other paraphernalia. One of the things to look for in an online headshop is their reputation. Smoke Cartel is probably the best online headshop. They can be compared to the 'amazon of bongs' and they have a huge selection from the best brands. I highly recommend purchasing your next bong from Smoke Cartel. So I’m back to find another great looking glass bong on your site. I enjoy your detailed descriptions and personal experiences because this is important for me. I consider glass bongs an art form and this is another example of that. I think an awesome bong would be a great conversation starter at a party! I see your one to impress your friends. I highly suggest getting a decorative piece by Empire Glass Works. The Sriracha Sauce Bong or even the Cupcake Bong have amazing intricate designs that will please almost everyone. They also hit quite nice and don't leave you coughing. I'm after a glass bong but cannot spend more than $40. Plz give me an idea of what i should be looking for and what you think is best for me. Thank you. It sounds like your short on cash, take a look at the UPC and GravLabs bongs because they tend to be made with high quality borosilicate glass and are still very affordable. 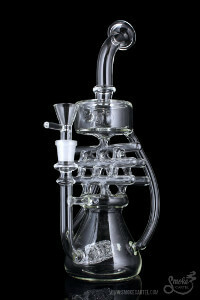 GravLabs is well known for creating unique and affordable pieces for those tight on cash. These pieces usually lack percolators, but may include an ice catcher. For the price these bongs will please you with your purchase and get the job done. If you want a smoother rip, think about investing some more money into a higher quality bong that includes percs. Percolators will filter the smoke further and deliver a smooth rip. I have just started using glass bongs this last year, my favorite is the “zong” bong. i find them far better for health benefits. i recently bought a ws series puncher off this website and I am very happy. The Zong bong is quite unique. It features a vertical zig-zag base that creates more room for the smoke to expand and filter. These bongs tend to fit in smaller places than usual bongs because they are on the small side. Perfect for traveling or on the go, the Zong bong is truly an impressive piece and I'm glad to hear you were able to find the best bong for you! i acquired a beautiful thick glass bong from my visit to america and it became a full time favorite smoking device. Unfortunately I cleaned it out and forgot to take out the slider, it dropped and smashed! to help you clean your bong the right way without breaking anything! This brings back vivid memories of my old percolator bong. My friend ended up accidentally breaking it. It was such a nice smooth smoke. It had those ice holder notches at the top to hold the ice. I was so upset when it broke. Glass bongs are so much better quality than plastic ones and the last a super long time. You can actually taste what you’re smoking and your lungs dont kill. My nearest headshop sells a ton of these glass bongs. It's always best to go to a local headshop first before buying bongs online. The reason for this is simple. When you first find out about bongs you have so many questions and so many new things to learn it is best to have someone who knows about this subject explain everything in simple terms. Many of you will start a google research campaign and get all of your details from online, but it's best to have someone who is right there in front of you to physically show you the different components of a bong as well as help you decide the best bong for you. After you spend some time with the expert you can then decide if they carry a bong that you would like to purchase. Unlike storefront headshops, online headshops have massive selections with dozens of reputable brands and many different types of paraphernalia. All of these options can be great but they can also leave you scratching your head, that is why it's always best to look up bong reviews before your purchase online. Luckily we have dedicated this page only to the best bong reviews. There are so many options when it comes to bongs, many people do not know this. For example I recently just found out about ice bongs, and now glass bongs?! Awesome of you to review some gravity bongs. I still don’t know what the best option for me would be though – what’s your opinion? If you are looking for a tough and durable bong, that rips the smoothest and allows you to taste the amazing terps, I would recommend bongs that have at least one percolator, and that feature an ice catcher. Just these two tips will allow you to find a bong that will leave you satisfied. Of course I also recommend you pay attention to the thickness of the glass. This is very important. You do not want to purchase anything that looks extremely frail or like it will shatter in your hand while you are holding it. You want to looking for something that is thick and has some weight to it. A thick bong is less likely to break from small tips and bumps, as well as the internal percolators will endure the slightest jerks. Lastly you should look for a bong that is designed in such a way that will allow it to be cleaned and maintained without a massive headache. All bongs need constant maintenance, and if you get something that is easier to clean you will enjoy less Iso-baths and less maintenance keeping your bong looking and tasting amazing. I think the weed star glass bong – Elevator 2 is my favorite bong here. I've got one and its great. This is a very nice selection. 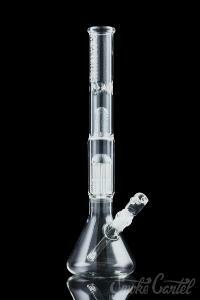 This bong features a percolator in the center that is removable for easy cleaning. It also comes with a 18.8mm joint which the diffuser fits in for extra filtration. I love bongs because they are my favorite way to smoke :D however I only smoke regular glass bongs without any of those fancy attachments or percolators. Sometimes when you hit the bong hard the smoke can be harsh on the lungs and throat. Smoke can be extrmely harsh when taking large rips from bongs, also talk about being terrible for your lungs. Water filtration is key to a smooth bong rip (clean water). With the water you should also make sure your bong has an ice catcher, as this is extremly helpful at reducing the harshness of the smoke. Using ice cubes allows the smoke to pre-cool before it enteres your lungs. Lastly you want to look for a bong with atleast one percolator. A percolator will ensure the best oxygen to water ratio and will filter the smoke the best. Some bongs come with multiple percolators and tend to cost a little more, the smoke filtration you get with these types of bongs is impressive! There is even a special type of percolator, called a recycler, that filters your smoke two or even three times in one pass! This is done with either one or multiple circle chambers that allow the smoke to go back to the main chamber to be filtered once again. Of course these bongs are the most expensive as this takes a lot of work and practice to build such a piece, but it is also the best in smoke filtration and will leave you and your friends impressed. Now you know what to look out for, in our reviews above you will find bongs that include many of these features. and you will be updated as soon as our reviews come out. Pure Glass is the US version of Weed Star, cheap alternatives to the likes of RooR, Toro and Illadelph. This is why many of these can seem expensive. I’ve heard many stories of Pure beakers falling apart when cleaning it and various other problems with weak construction of the bong. It is always important to purchase your bongs from a reputable source and from an online headshop that provides high quality pieces. If you do not take the time to research reviews on your next $100 bong, and it breaks while you are cleaning or because of a simple tip, then your to blame. Of course this is easily avoidable by buying the best bongs with thick glass and better built components. Luckily you have come to the right page to find your next bong.